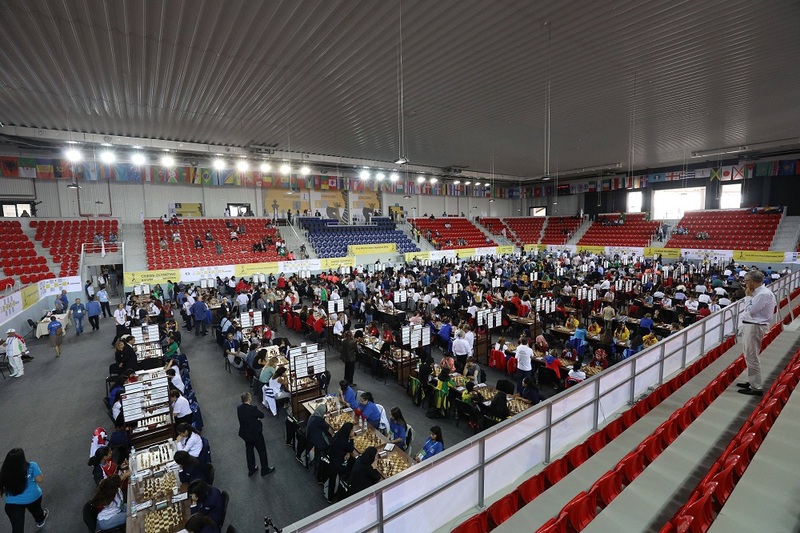 The first round of the 43rd Chess Olympiad was held in Batumi Sports Palace. Georgia appears on the Olympiad as a host country, presenting six sets of national teams, composed of three women’s and correspondingly three men’s team. In the opening of the Olympiad, the women's team played against South Korea in the first round and have won 3: 1. Nana Dzagnidze won with white pieces and Bela Khotenashvili have also won with the white pieces. On the other hand, Meri Arabidze, who played with black pieces, won on the fourth round. Despite her solid efforts, Lela Javakhishvili have ceded her game to her opponent. A relatively easy match was played by the men’s team. Baadur Jobava played a tie with black pieces, but others did not hesitate to become victorious. The women’s secon team had a convincing victory against South Africa with an overal score of 4:0. Additionally, the third team defeated the Seychelles with the identical score.Young Georgian chess players have acquired great experience at the Olympics. Needless to say, all six teams representing Georgia won in the first round of the Chess Olympiad. Tomorrow, on September 25 our teams will have stronger opponents and will have to concentrare more heavily on acquiring victories.